During the blue hour we were on tour in the Dresden inner-city – Germany. 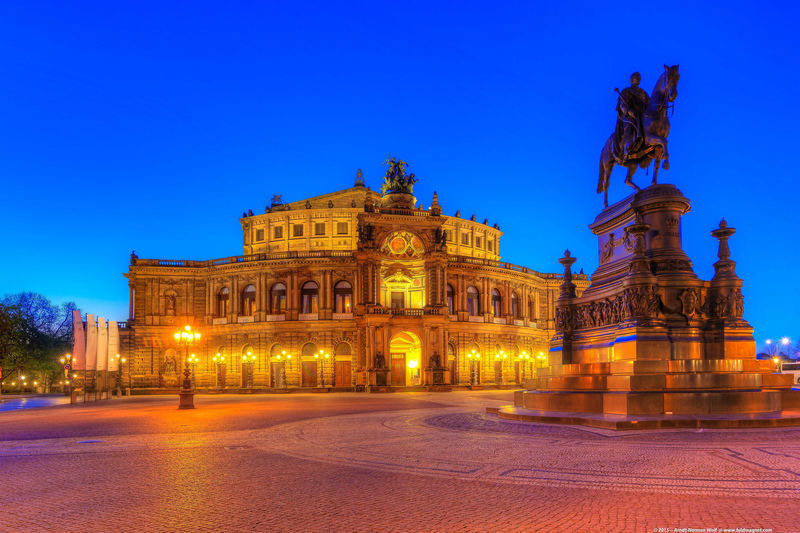 Here you can see the famous „Semperoper“. it was processed pre in LR, then Photomatix and post in LR again. Hi… I`am A.Lupus and this is my first post! Thanks to Theo for the opportunity to share my Images here. Hello A. Lupus welcome on this Blog and have fun!!!! !